Lately I’ve been obsessing over two TV dramas: House of Cards (which has two seasons out on Netflix and if you’re not watching it right now you should be) and Game of Thrones (which is in its fourth season on HBO and if you’re not watching it right now you should be). They’re both political dramas, although Game of Thrones is set in a fantasy world while House of Cards is set in good old Washington, DC. Let me get one thing straight: I do not care about politics. I don’t understand most of politics. The very word “politics” is boring to me. But these two shows are not just about politics. They are about manipulation, psychology, and (best of all) psychosis. They are about bad people doing terrible things for their own gain, and yet we tune in over and over again because we JUST HAVE TO KNOW what’s going to happen next. 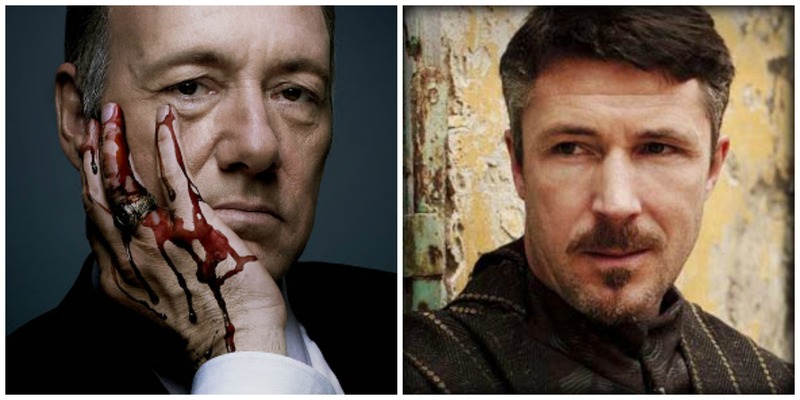 One of my favorite characters on Game of Thrones is Petyr Baelish, or Littlefinger. I recently referred to him as “the Frank Underwood of Westeros.” Frank Underwood is the main character on House of Cards. It had just occurred to me at that moment how similar they are. Both of these guys are ruthless. They both want all of the power, right now, and will do whatever it takes to get it. But they’re not rash – they both have well-thought out plans, complete with backup plans, and backup-backup plans. Often, you think they’ve been foiled, only to find out later that they were just playing the other characters like well-tuned instruments. Both of them have done (and will, I’m sure, continue to do) horrible things. Often, they’re doing these things to other characters who are genuinely likable. And yet…I still love both of these characters. I bafflingly, disproportionately, love them. Is it just that I have a fondness for the character who somehow knows all, sees all, and masterminds all? For the guy who is always three steps ahead of the other guy, somehow even leading that other guy by the nose, making him think he’s making his own decisions, and then BOOM. Sorry, other guy. I used to think I loved the Christ-figure – those Gandalfs, Dumbledores, and Aslans. They are also seemingly omniscient, and willing to make the ultimate sacrifice for the good of everyone. They are good guys, and they often come back to explain their sacrifice, to commend others for their sacrifices, and to bring the whole thing together in a happy (ish) ending. Was it just that I hadn’t yet been introduced to the anti Christ-figure (not the “anti Christ”-figure, I want to be clear about that – just the anti- “Christ figure”) that I didn’t realize how much more interesting these characters could be? I mean, I cheered when the deceased Gandalf the Grey came back as Gandalf the White, sure I did, but was it really so surprising? The good guy is more predictable than the bad guy. And the Christ-figure is the most predictable at all. We pretty much know the life lesson we’re going to learn from those guys. Stand up for your friends. Do unto others. The only thing we have to fear is fear itself. Love conquers all. Do the right thing. Stand your ground in the face of evil. Don’t give up on good. It’s kindergarten stuff at its core, whether you’re facing down the White Witch or the cyber bully or He Who Must Not Be Named. The bad guys – the anti Christ-figures – are infinitely more interesting. What BS crazy thing are they going to do today in the name of getting one rung higher on the power ladder. They wouldn’t possibly – no one could – OMG DID YOU SEE THAT?? I never had that reaction to Aslan allowing Jadis to shave and humiliate him, I’ll tell you that. Survivor is practically an American pastime. In its heyday, it was consistently one of the highest-ranked shows on television, and I’m not trying to imply that its heyday is over. It’s the first reality competition. People are obsessed with this show. And yet for some reason, I just watched my first season. Drew has always loved Survivor, but I hadn’t gotten around to watching it until about a week ago. We sat down to watch Season 25: Philippines (last season) and I was HOOKED. I would have been happy staying up all night watching episode after episode, if not for knowing that that little alarm clock, in the form of our 7-month-old son, would be going off the next morning at 6:45. After getting through Season 25 in about a week, we started watching Season 26, which is currently airing on CBS, and I look forward to watching it along with America every week. The best thing about Survivor is the strategy. Sometimes you’ll get an episode where everyone can just be blatantly honest with each other about who they’re voting off, and it doesn’t matter because of the numbers. But usually, it’s all trickery and deception and bargaining, and I find that I can never guess who’s going home because it’s just all up in the air until the moment everyone votes. Amazing. But there are some people who try to play “an honest game.” And I understand that being able to stand up at the end and say, “I didn’t lie to anyone,” is probably a good card to play. But in general, I cheer for the people who lie at every turn and manage to blindside other people – the ones who are really “playing the game,” as they always say. Which makes me wonder if there’s something wrong with my moral compass. Shouldn’t I be rooting for the person who doesn’t lie, who doesn’t backstab, and who tries to keep up morale? But as you might have noticed, that just doesn’t make for good TV. But in my Real Life, I think I’m a pretty moral person. My knee jerk reaction when someone gives me too much change is to be honest. One time a bank gave me an extra $5 bill and I gave it back. When I was in high school, and trying out rebellion, I once stole a small Mead notebook from a very well-known chain store. I think I just wanted to know that I could do it. The next day, I snuck it back in to the store, and then purchased it. I mean, I’d already written in it, or else I might have just stuck it back on the shelf. No matter how much I cheer for the person who straight-faced lies into another person’s face on TV, I don’t want to see that in Real Life. It’s only fun when it’s all a game…with a million dollars on the line. I want to be able to trust the people around me, and I want them to feel like they can trust me back. I want to teach my son that he can trust his parents, and I hope that we’ll be able to trust him. I think the reason I enjoyed my childhood and adolescence so much is that my parents were able to trust me and give me some freedom. I do, however, understand the need to occasionally push boundaries, perhaps in the form of stealing something small, and then un-stealing it to pay for it. That, I think, is a good balance of rebellious and nerdy. The Office used to be a really great show. Like, a really, really great show. We were late on the train, but we started watching it in the summer of 2009, which was overall a really good, happy, sunny time for us. I would say the first three seasons are really the best. At the end of Season 3, Jim and Pam got together, which was nice, but was also the beginning of the end. Seasons 4 and 5 were still okay. In Season 6, Jim and Pam had their first baby, and the show tried to replace the romantic tension of “Jim and Pam” with “Andy and Erin” (which failed). They brought in a new company (Sabre) and a new recurring character, Jo (Kathy Bates) (who I normally love). 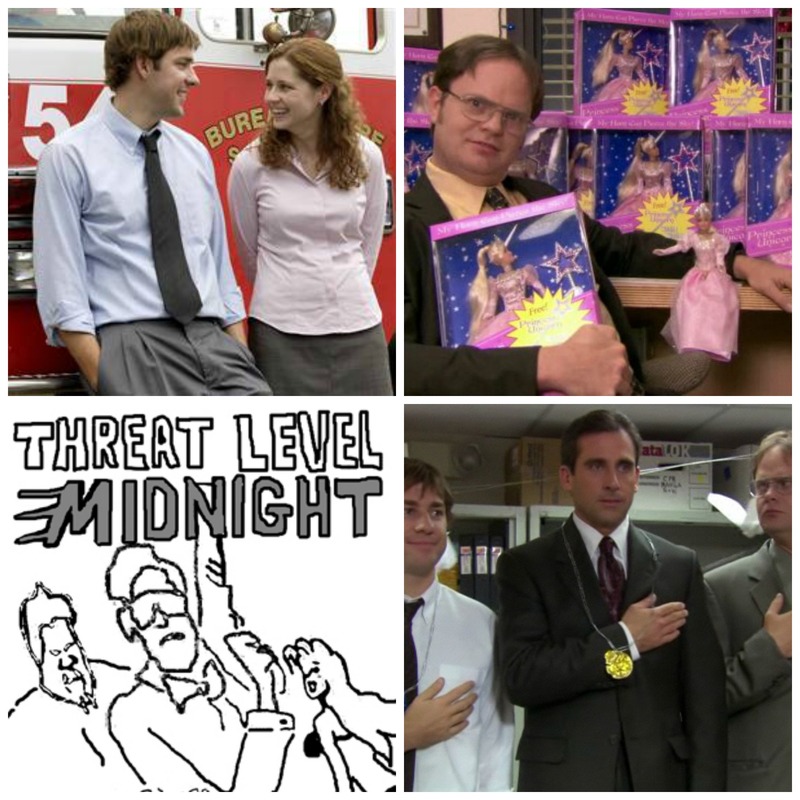 Then Season 7 was the final Michael Scott (Steve Carell) season, and frankly I don’t remember much of it. In fact, I can’t tell you what happened in seasons 7 through 9, and I just finished watching the most recent episode 5 minutes ago. Next week is the final episode of the final season, and it can’t come fast enough. Back in the early seasons, we couldn’t finish one episode without starting the next one. Now we spend the whole time half paying attention and occasionally snorting with exasperation. Oh, it probably goes without saying that if you are still catching up and you don’t want to read spoilers, you should probably stop now. 1. They’ve tried so hard to force Pam and Jim drama. We loved watching them flirt, watching the near-misses, and yearning for them to get together. Those moments were so touching. Once they got together, there were still some nice moments – the proposal, finding out she was pregnant, and the wedding, for example. But we’re missing the push-pull of two people who are so obviously meant to be together but can’t make it happen. None of the substitutes – Andy and Erin, Dwight and Angela – have lived up to that. Face it, Pam and Jim, you guys are a boring married couple who mostly gets along. Just enjoy it. 2. Which reminds me – what the heck is Jim’s Philadelphia job? And you don’t have to hit me over the head anymore with the fact that Pam feels guilty for making him come back to Scranton, but that Jim just loves her so much, blah blah blah. 3. Blatant foreshadowing – quit acting like we haven’t seen all this “surprise” stuff projected for seasons. Yes, Phillip is Dwight’s baby. Duh. Dwight and Angela are going to get back together for reals. Duh. Why have you taken so long getting to this point? This is what you’re going to use to fill up all these hour-long episodes? 4. Too many random, flat characters. What is Nellie still doing there? Who are Pete and Clark? Why are they there? Are they just trying to replace the brilliance of BJ Novak, Mindy Kaling, Steve Carell, etc? It’s not working. 5. Here are some other character complaints: Kevin has turned into a ridiculous and unfunny parody of the actual character he used to be. But remember when Kevin brought us this gem? He’s totally not like that anymore. 6. Also, they just never figured out Andy Bernard’s character. I guess he was kind of funny at the Stamford branch, when he was calling Jim “Big Tuna” and singing “Lovefool” over and over again. But then he was dating Angela, and then he was the angry guy who punched a wall and had to go to anger management (aka go film The Hangover? ), and then he came back and was the dorky guy who went to Cornell, sang in a capella groups, and was in a community theatre production of Sweeney Todd…and since becoming Regional Manager (a TERRIBLE decision) he’s just been given Michael Scott-esque storylines and dialogue. Oh, except for when he was gone for months on a random boating excursion (aka filming The Hangover 3?). Ugh, I like(d?) Ed Helms but I am so over Andy Bernard. 7. Introducing the film crew. The first time Pam looked up and spoke to Brian (the boom mike guy) I had a moment of “Whoa, that’s kind of cool.” Then it turned into more fake Pam and Jim drama, and it just got to be too much. It just feels like a gimmick to draw out these plot lines to fill the rest of this finally-final, but it-just-never-ends, final season. 8. Making the documentary into a thing. Also, all of this talk leading up to watching the documentary feels like filler. And in tonight’s episode, the whole office gang gathers round at Poor Richard’s to watch the documentary. But…how can it be airing if there’s still one more episode for us to watch? Also, all the talk about the film crew and the documentary has just meant that we’ve had a lot of clip show-esque moments. Lots of footage of the good old days for us to look back on and remember when we used to love this show and marathon it and rewatch the Christmas episodes. But it’s like rubbing our noses in it, to show us the moments we loved, when what we have now is so much LESS. 9. Dwight’s beet farm spinoff that almost happened. Luckily it didn’t get greenlighted, but for a hot second we almost had a new NBC show called The Farm. It would have featured Dwight Schrute and his family running a bed and breakfast -slash- beet farm that they had inherited. One of the episodes of The Office season 9 was the pilot episode for The Farm. I get why NBC passed, and I support their decision. 10. I am going to be seriously bummed if Michael Scott comes back for the finale. 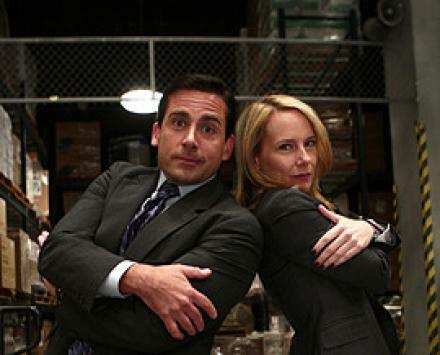 I think Steve Carell made the right choice in leaving when he did, and I think the series should have ended on that note. It’s limped along now for 2 more seasons, and I want to remember him on the show the way it was. I hope that Steve Carell holds to his decision to not come back for the finale. I like to think of Michael as moved on, married, and raising kids with Holly. Look, The Office: I will 100% still watch rerun episodes of you on TV. I will seek you out. I even still want to go back and watch your original, British version. But, like many things, you’ve just overstayed your welcome. (You took the Weeds path, rather than the 30 Rock path.) This is partly my fault for continuing to watch you, but we had some good times. I’ll be there watching next week, for the full hour and 15 minutes or whatever nonsense you’ve got up to, but then I’m going to gently but firmly change the channel, and that will be your signal that it’s time to go. We’ll always have Diversity Day, and Booze Cruise, and Casino Night, and so many more. I just saw this commercial this afternoon, and I love it. Partly because I’m like, “it’s so true!” But mostly because I think it might be the first time I’ve ever seen breastfeeding on regular cable TV. With all of the reading I’ve done over the last year, and all of the breastfeeding stats and stories, and knowing how trendy it is right now…I still haven’t seen it being portrayed on TV as a totally natural and public thing to do. And the commercial isn’t saying it’s particularly granola or new-agey…it’s just a regular-type mom in an everyday restaurant, doin’ what ya do. Bravo, Luvs commercial. I’ll probably still buy Pampers because I really like them, but maybe you’re right and I’ll see you in a few years when we do this all again. If you think you heard a note of glee in my tone, well sir, you are mistaken. I like the Olympics. But, here’s the thing: Drew LOVES the Olympics. And he’s not alone. The world loves the Olympics. But he like REALLY LOVES the Olympics. Here’s what I think he loves about them: The success stories. The failure stories. The statistics. The human interest angles. The world coming together in a show of friendly (for the most part) competition. People working incredibly hard for years, to accomplish something (that sometimes takes 5 seconds.) People overcoming obstacles. People tripping on obstacles. Whatever it is that he loves, we have watched a lot of Olympics over the last two weeks. And I’ve been gone a lot, so I can only imagine how much he’s seen. When I’ve been home, I’ve been experiencing this thing at a level that I never have before – how has rhythmic gymnastics totally escaped my awareness before this?? (Drew may LOVE the Olympics, but those girls LOVE their apparati.) I have really enjoyed getting to know new 2012 Olympics USA celebs – from gymnast Gabby Douglas to coxswain Mary Whipple to diver David Boudia to renowned DJ Fatboy Slim. But now the Olympics are over, and I’m secretly (or not so secretly) a little relieved that life can regain its normal rhythm. And by “life” and “normal rhythm,” I mean I miss our summer tradition of watching Big Brother (we now have 6 episodes to try to catch up on – not an easy task when they are hour-long episodes) and I miss reading Harry Potter at night. 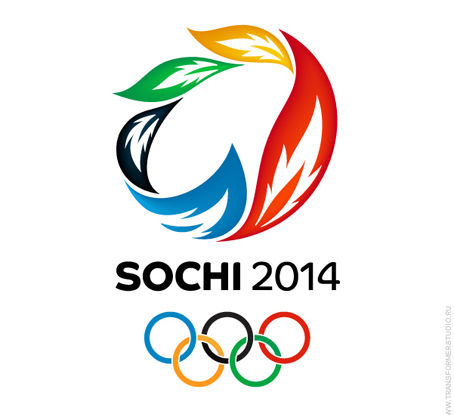 But don’t worry – less than 2 years until the winter Olympics in Sochi, Russia! Last night we had an Olympic opening ceremonies party. Drew is absolutely crazy for the Olympics. 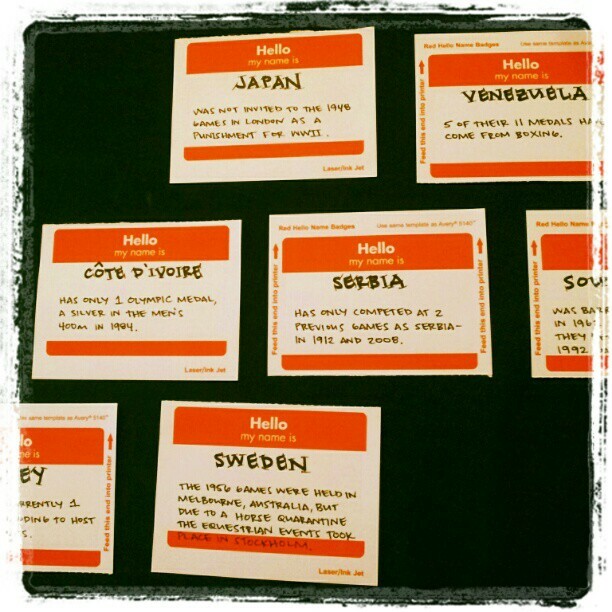 He made name tags for everyone, with a fun fact about each country. 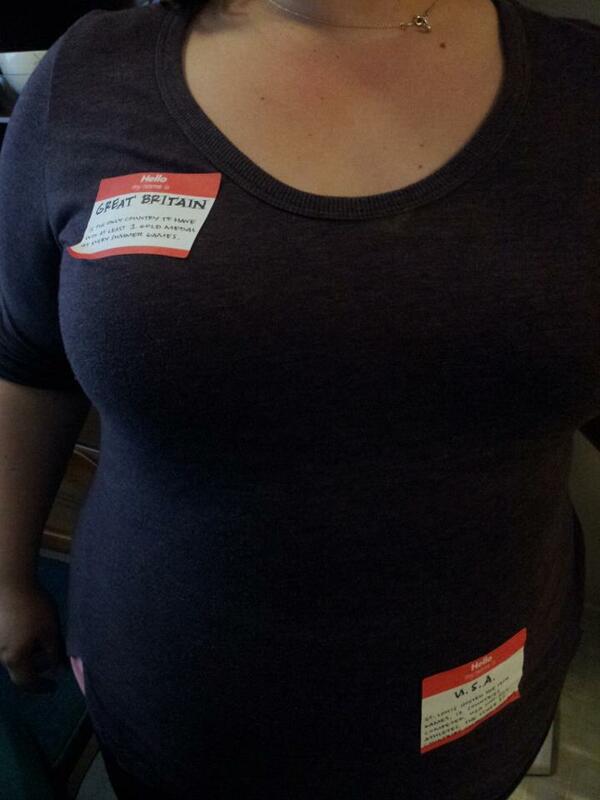 I got to choose mine first, before anyone else arrived, so we went with one country that came from another country. Subtle, but effective. As with the last party we had, back in May, between what we made and what people brought, we had way too much food. And there’s only enough furniture for half the people to be sitting at a time. But the opening ceremonies had all the expected moments of “wow” and also “wtf,” and we had a good time. 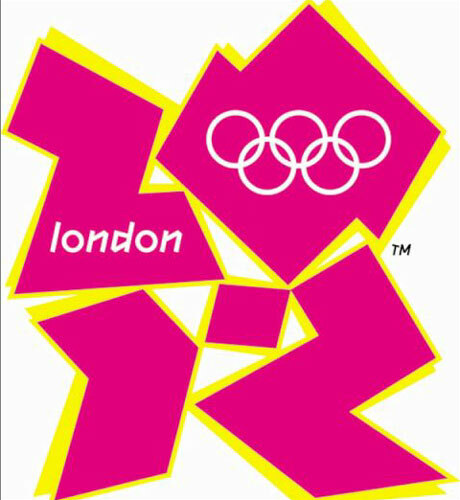 Now for two weeks for Olympics games – and then a year and a half until the winter Olympics and our next opening ceremonies party!